A new tick is in town. The Asian longhorned tick population has been rapidly reproducing in Staten Island, becoming a danger to the residents. A female Asian longhorned tick, in essence, clones itself, because it can reproduce asexually and lay 1,000 to 2,000 “clone” eggs at a time, reported Columbia News. The ticks pose a concern to the health safety of individuals, as they can carry different pathogens that are transferable to humans. In a recent study, Maria A. Diuk-Wasser and her colleagues set out to further examine the establishment of the increasing population of Asian longhorned ticks. The researchers investigated the phenology, the study of cyclic and seasonal natural phenomena, of the ticks in public parks and peridomestic environments in Staten Island. From the sampling done by the researchers, the ticks were found in seven of 13 parks in 2017 and 16 of 32 parks in 2018. The researchers established the reasoning for the ticks’ introduction in the United States, narrowing it to their ability “to feed on a wide range of domestic and wildlife hosts, reproduce asexually and survive various environmental conditions,” according to the Centers for Disease Control and Prevention. The ticks are native in Asian countries like China and Japan and have also invaded Australia and New Zealand. “Humid climates with forest cover and ample precipitation” are temperatures in which the ticks thrive in, National Geographic reported. This means that the United States, which has many regions with this type of environment, is a very suitable location for the tick population. Notably, the ticks have not only been found in Staten Island but also in New Jersey, Connecticut, Maryland, Virginia, West Virginia, North Carolina, Arkansas and Pennsylvania. Researchers have been further exploring other areas in which the ticks may have settled. 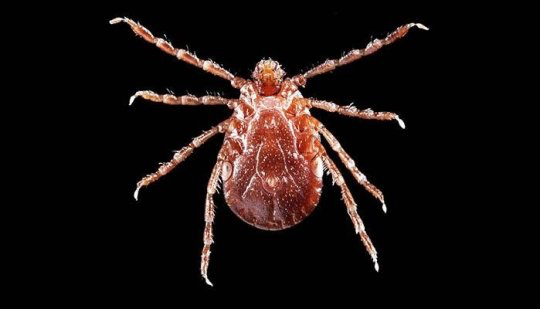 Although the ticks haven’t shown that they carry pathogens in the U.S. yet, they have proven to be a vector for deadly human diseases, including severe fever with thrombocytopenia syndrome virus in China. Additionally, the ticks have been reported to pass on viruses like hemorrhagic fever and ehrlichiosis. These bacterial illnesses cause flu-like symptoms that, if not treated early on, can lead to fatal complications, as further reported by Columbia News. As the population of the ticks increases, the concern for individuals also does. Since the female Asian longhorned tick can reproduce without mating, this can make the efforts to control the spread of the ticks more difficult. The ticks have been found on grass, pets, livestock and people. Thousands of the bugs can be found at a time either on land or on an animal, according to an additional report published by the CDC. Before individuals become panicked over the rapid spread of the ticks, the CDC has given advice on the steps individuals should take if they come across one of these self-cloning bugs. The first step for an individual who has found an Asian longhorned tick is to remove it as soon as possible before it gets onto people or animals. After the removal of the tick, the individual should save the tick in rubbing alcohol enclosed in either a jar or a Ziploc bag. From this point, it is important for the individual to get in contact with their health department in order to know the ways to prevent the tick from transferring any diseases. In order to know how to protect any pets from getting bitten by the tick, the individual should contact a veterinarian. Lastly, the individual should get in contact with the state agriculture department and inform the department of the tick identification. Asian longhorned ticks may be small, but they still present a large problem to everyone.